A late blooming Relationship Story weakens an otherwise moving film. 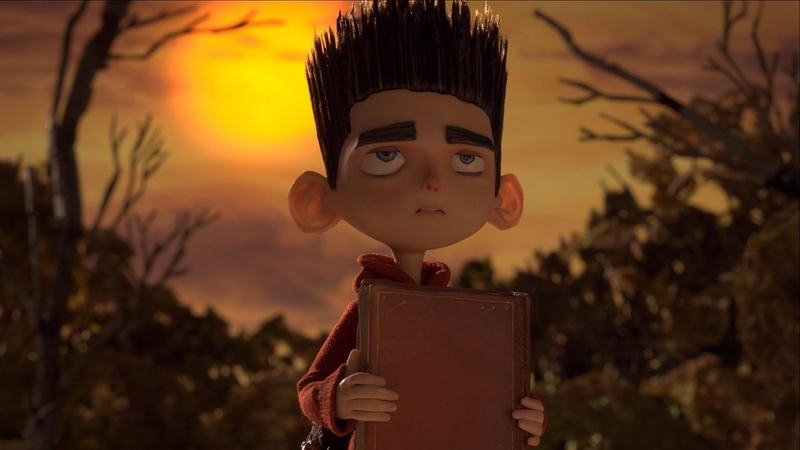 Lest the opening horror-on-VHS flicker by unnoticed, ParaNorman endeavors in earnest to deliver a delightful love-letter to the macabre of old. With beautiful animation and a rather adult wit (a bit too much for the under-8 crowd), the film takes zombie-convention and spins it on its flesh-decaying ear. No greater is this unique and imaginative take on display than in the final sequence between social-outcast partners Norman (Kodi Smit-Mcphee) and Aggie (Jodelle Micah Ferland). With silence and subtly, 3D printed heads offer more heart and tenderness than many of their human counterparts. Sadly, however, this sequence comes so late into the story that it simply functions as yet one more episode in a long and sometimes plodding tale. Contrast this with last years’s best animated feature Wreck-It Ralph wherein the relationship between the Main and Influence Characters (in this case, Ralph and Vanellope, respectively) blossomed in the First Act and had time to mature and develop until the very end. The tenderness became part of something greater—it became something larger than itself. Norman’s encounter with Aggie brings that emotion, but brings it without much substance. An argument earlier in the film between Norman and superficial sister Courtney brings the kind of needed emotion to sustain Norman’s development, but because it popped out of nowhere and featured two characters that weren’t really the heart of the story the Authors had no other choice than to have local meathead Mitch (Casey Affleck) respond “Well, that was dramatic.” It’s the right response to such a forced interaction, but unfortunately stood out as the only moment of emotion within the first hour. That said, the final sequence works wonders and gives hope for the future of animated storytelling.